Fun ideas to decorate for any patriotic holiday. 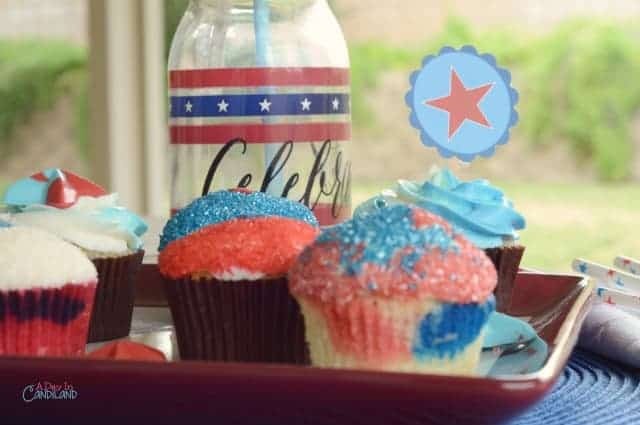 You can use any of these ideas for Memorial Day, 4th of July and Veteran’s Day to celebrate America and Red, White and Blue. I love to decorate for Red, White and Blue holidays. I love the colors and it makes me think of how much I love America. I feel very lucky to live in a free country. I know it isn’t perfect, but I have so many opportunities, and sometimes I feel like we take for granted everything we have here. I would like to take this time to thank all who have served in the military and given their lives for our freedom. Your dedication is what keeps this country free. If you have a family member who gave for everyone, thank you. With that being said, I have fun making food that is Red, White and Blue and this fruit salad. Plus I love to decorate my home and mantel. 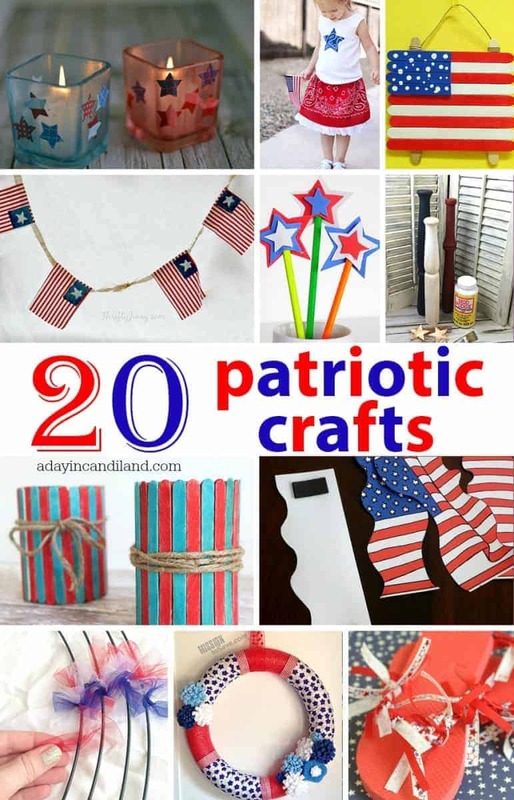 Here are some Patriotic Crafts for your decorating pleasure. Some of these crafts are perfect for the kids to help out with and some are a little more advanced. Which of these Ideas to Decorate for any patriotic holiday will you be making? Hi Candi! What a great roundup! Lots of fun projects. Thanks so much for sharing my spindle firecrackers. Have a great week! These are all so much fun! I just love all of the red white and blue and of course it’s always nice to have a reminder to be grateful for all we have! What a great list of ideas! I can see these being used for so many different holidays. I particularly love those votives!